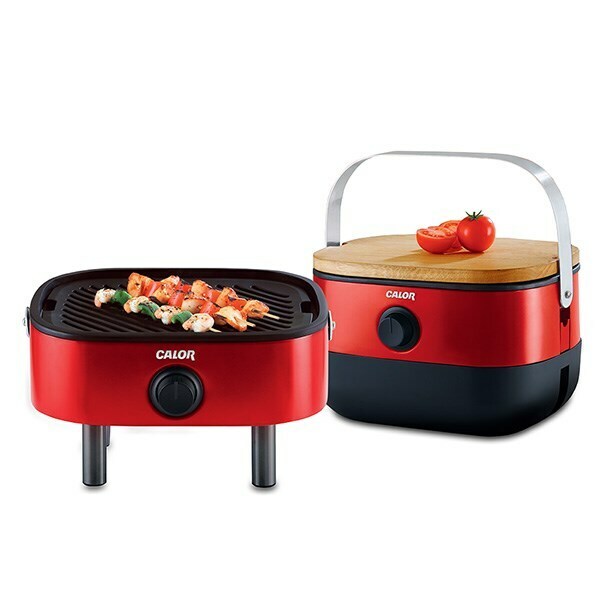 Ideal for camping, picnics or trips to the beach, this award-winning Calor portable gas barbecue lets you cook up a feast wherever you go. 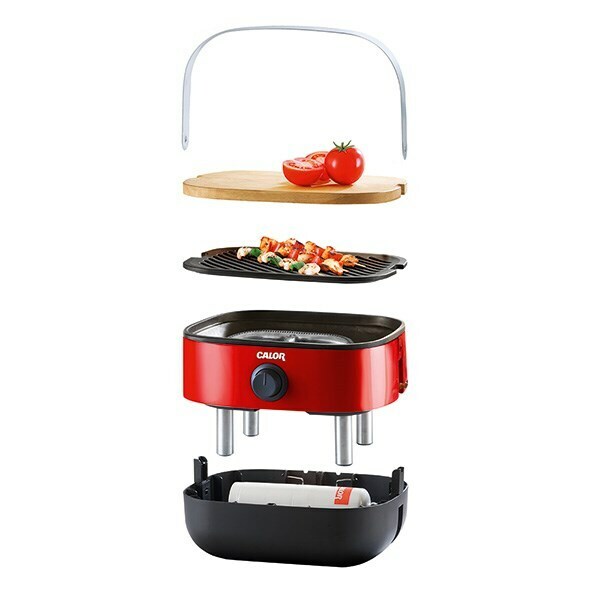 The innovative design includes inbuilt storage for a disposable gas cartridge and an oak lid that doubles as a chopping board. 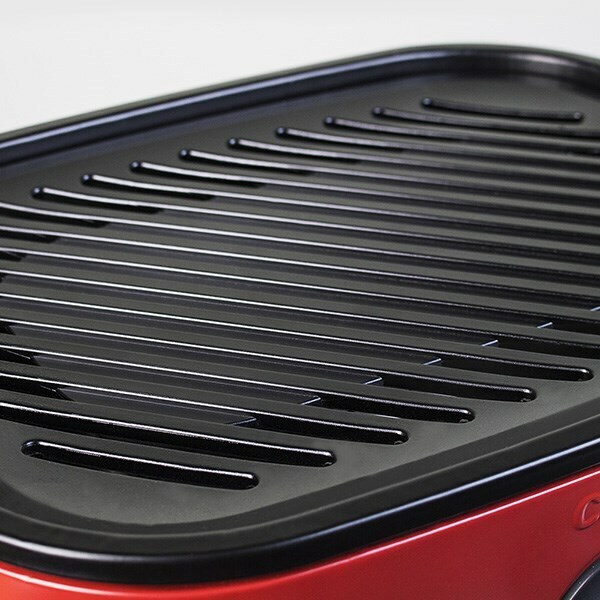 Fitted with a high-grade stainless steel burner and cast aluminium cooking grill, it allows clean, easy cooking without the mess or hassle of charcoal. An ergonomic rubber handle grip makes it comfortable to carry one-handed; alternatively, a sturdy strap lets you carry it over your shoulder to keep your hands free for food and other essentials. Supplied with one hose and regulator for a disposable gas canister. Gas canister not supplied.